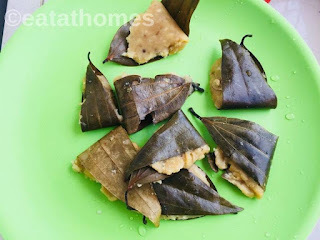 Many people stay away from this fruit( jackfruit Ada Recipe /Chakka Ada Recipe)as they believe it is high in calories and carbohydrates but its not true, Jackfruit full on proteins, calcium, vitamins, potassium and B-complex group of vitamins . So Jackfruit is not harmful for anyone. 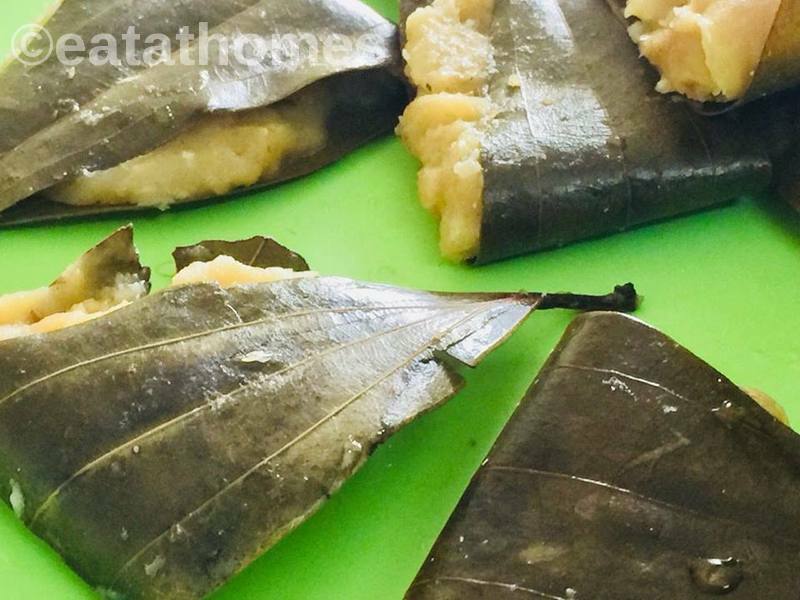 diabetic patients can also eat jackfruit recipes with moderation. Natural sweet ”chakka ada recipe ” with little moderation. In a large mixing bowl, add the jack fruit jam / preserve/ Chakka varattiyathu and hot water. Keep for 10 minutes. Mash it into a pulp. Add the rice flour and mix into a dough and rest for further 10 minutes. Add one cup rice flour first and further by checking the consistency not to thick but little loose . Heat a pan. Add the grated coconut and ghee. Mix for a couple of minutes and add the jaggery syrup (optional ). Saute for few minutes. Add the powders and combine. allow to cool down. Wash the leaves and dry it. Spread the flour jackfruit mixture very thin as shown in the picture. Place a spoonful of filling and fold it from one end. Press it with our palm and level it. Place in a steamer and steam for 15 minutes. if mixture is too moisture add some roasted rice flour. 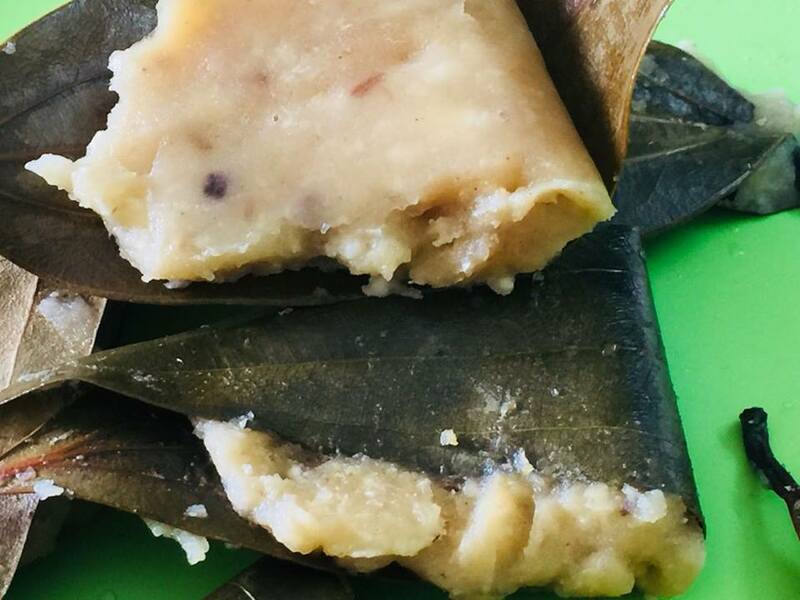 if edanilla not available u can wrap this ada in bay leaf or banana leaf .